Let’s put aside the fact that the last two winners of the Green Jacket have been European, because one of them is “he-who-shall-not-be-named” and the other was long overdue. Instead, I want to focus on some European Tour lurkers and stallions that might end up being superb value-buys for your club pools, Vegas bets, and fantasy selections. 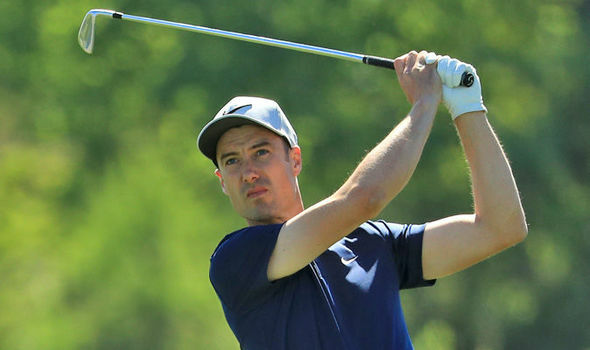 Despite a relative few international players that claim the European Tour as their primary circuit in this year’s Masters field, a few names jump off the screen as potential money-makers. Here, I’ll pick and briefly profile each of a favorite, style-points-getter, dark horse, and Low-Am. Readers of my Eurozone column are well-aware of my affinity for Fleetwood. It’s not just that he’s one of the purest ballstrikers in the world–though he certainly is that. His ballstriking is an asset, but my belief in Fleetwood has more to do with how seemingly unflappable he has been in several big moments. The display of cajones in defending his title in Abu Dhabi certainly came through on television, and hearing Tron and Soly rave about how great it was to see in person just confirmed everything I’ve loved about his meteoric rise in the past 18 months or so. 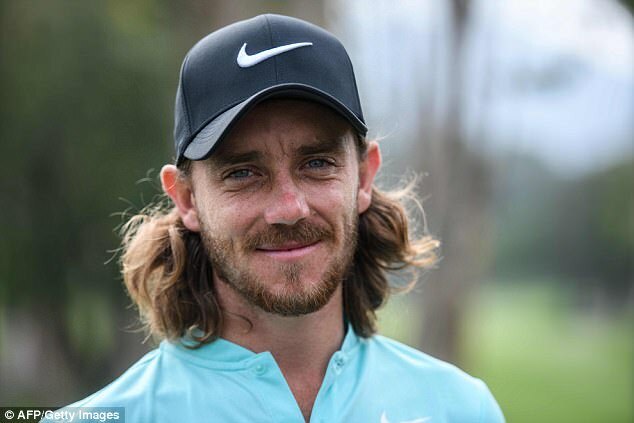 In his only prior appearance in 2017, he registered a MC, but it’s not outrageous to think Fleetwood can win The Masters this year. I’m sticking by my prediction that he will at least contend. At 30/1, he may not have as much payout value as the players below, but I’ll be very surprised if his name isn’t on the first page of the leaderboard around 4:30 Sunday afternoon. As with Fleetwood, I have a well-known man crush on the #Barnrat. Also like Fleetwood, Kiradech has a relatively limited history at Augusta. Unlike Fleetwood, however, Aphibarnrat’s 2016 appearance was electric, and yielded a T15 (DNP in 2017). The #Barnrat has been on a really special run of form so far in 2018. After a decent T10, T22, T51, T27 start on the European Tour, Aphibarnrat blistered the field in the World Super 6 Perth, and followed that victory up with a T5 at the WGC Mexico and another T5 at the WGC Matchplay. Although he missed the cut at Bay Hill and stumbled in at the Honda, he currently sits at 30th in the OWGR and in second position in the Race to Dubai standings. Don’t let the results in match play events lull you, either. 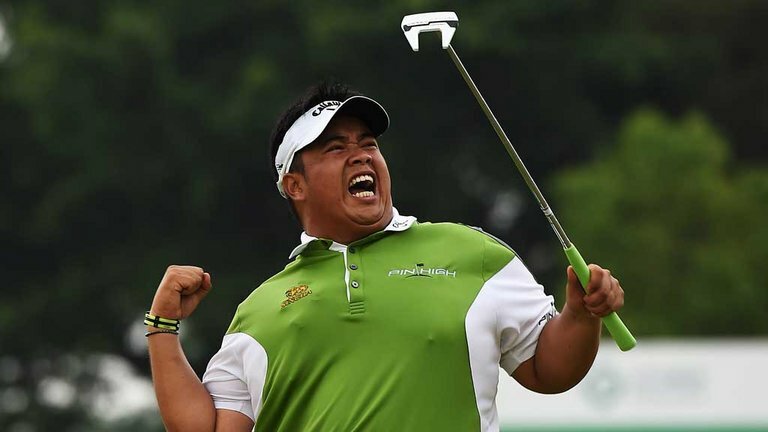 Kiradech makes birdies in bunches, has soft hands around the green, and now has a little positive history to fall back on in his second Masters appearance. Frankly, 125-1 is a little bit absurd. Vegas always knows, I guess, but 60/1 or 70/1 might even be a bit too high. If you want to look cool to your friends come Sunday, pick the #Barnrat and don’t look back. The Englishman is a plenty-familiar name to those of us that love and follow the European Tour. At 37, he’s weathered a number of lows in his career, but 2017 and 2018 have propelled Fisher back in to the top 40 in the OWGR (and quite high up in the Ryder Cup standings, as well). Fisher has been a human ATM on the Euro Tour since the start of 2017, clocking 9 top 10s, of which 6 were top 5s, against only 4 missed cuts in 27 events. Fisher collected over €2.9 MM in 2017, and has already taken home €481,000 in only 4 Euro events this season. Ross has five European Tour victories to his name, though none have come since the 2014 Tshwane Open. Although he’s been knocking on the door for the past 16 months, particularly in the States, a win at The Masters would double as Fisher’s maiden win on the PGA Tour. As Poulter showed in Houston, however, it can all come together rather quickly, even at the later stages of a career. Fisher is a polar opposite of Poulter on the course–quiet, unassuming, even-keeled–but what he bottles up in emotion, he demonstrates outwardly in superior ballstriking and a deft putting touch. In his five previous Masters, Fisher made the cut in four, and netted a T15 in 2011. It may be a bit of a longshot to think Fisher will win this week, but he’ll almost assuredly be around for the weekend, making him a great pool pick. The 2018 field might be the strongest ever, and that holds true even down into the amateurs. We’ve seen amateurs contend at the Masters before, and perhaps that is appropriate given the Club’s founder, Robert Tyre Jones, Jr., was the greatest amateur of all time. This year’s amateur field is really something, with US Amateur winner and runner up Doc Redman and Dougie “Fresh” Ghim probably most familiar to those in the states. But they’re not the favorites to take home the Silver Cup, and probably for good reason. One amateur looms much larger than the rest–19 year old Chilean, Joaquin Niemann. Niemann makes his debut at Augusta by virtue of having won the 2018 Latin America Amateur Championship, staged on his home course in Santiago. The world’s top-ranked Amateur shot a final round 63 (-8) to claim the title. He planned on turning professional had he not won, but the invitation to the Masters was enough to persuade him to hang on to his status until Monday. There have only been 6 Low Amateurs in Masters history that have gone on to win the Green Jacket: Cary Middlecoff, Jack Nicklaus, Ben Crenshaw, Phil Mickelson, Tiger Woods, and Sergio Garcia. I am quite confident that Niemann is going to join that list someday, and it starts with him sitting in Butler Cabin Sunday Evening. Book it. Alex Noren – 40/1 – some value; 40/1 is probably a touch too high. Dylan Fritelli – 250/1 – his first Masters, so a crap shoot. Great ballstriker. I’m still grinding on Part II of my Ryder Cup tracking preview, though Noren and Casey have basically made it 15 guys competing for one spot at this point. So I went back to the drawing board. We’ll probably know even more after this weekend, so look for Part II to debut likely next week. Enjoy the coverage this weekend, everyone! Job is pronounced with a long O. Aspiring club champ and golf course architecture nerd. Living proof that breaking 80 is even harder than it looks. Usually just trying to make it to my next tee time. Lived in Jacksonville, FL before NLU made it cool. jwfickett at gmail.